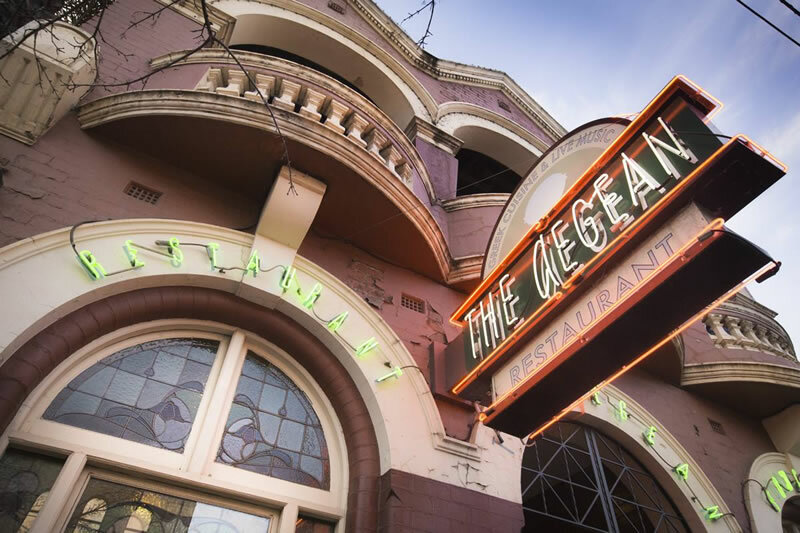 The Aegean in Fitzroy is Melbourne's premier Greek restaurant open Wednesday to Sunday with live music and dancing on Saturday nights. At The Aegean we specialise in making your night unforgettable, so come in, dance the night away, do a little Zorba, see some plate smashing as well as other entertainment whilst feasting on our lovely banquet! Saturday night is our Greek tavern night. You will enjoy live Greek music as well as international favourites to dance to. Dinner will be a hearty banquet of char- grill meats, seafood and a variety of home made delicacies complimented with our own baked bread. We cater for all kinds of functions - parties, birthdays, events, corporate functions, private functions, hens nights, lunches, weddings and casual get togethers. Saturday night is our Greek tavern night where you will enjoy live Greek music as well as international favourites to dance to. Saturday Greek Tavern Night with music and dancing and set banquet.